The key to staying in business — and being successful — is to know your customers and to give them what they want. But that’s often easier said than done. In 2019, technology is taking a central role in how companies communicate and interact with their customers. As these variables shift, it is important for businesses to stay on top of and adapt to these changes. 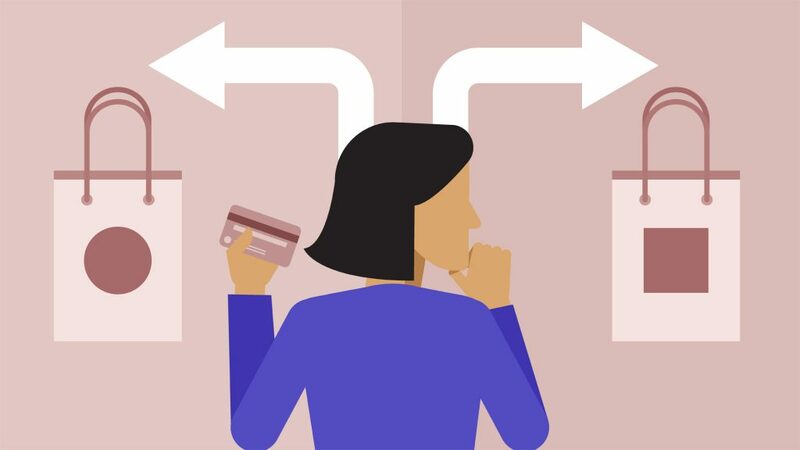 In this article, we will look at some of the ways customers are navigating through the proverbial customer journey and explore ways in which your company can keep them loyal. We’re told to look to the past to uncover some of life’s mysteries. That’s not always — and shouldn’t be — the case in the world of business. In that vein, as a business owner, one of the biggest challenges you’ll face is learning to anticipate your customers and prospects’ next steps. This can mean imagining products and services that may very well fulfill your customers’ future needs. However, that’s not the only way anticipation can demonstrate knowledge of your customers. You can also help your customers learn to anticipate the resolution of a pain point. For instance, if you’re selling a weight loss product, what you’re really selling is the attainment a future weight goal. In other words, the program, products or services you sell are just a means to an end. Apple did something similar with the iPod. The selling point for customers wasn’t that the hand-held device could store thousands of songs; it was that it could store so many in your pocket. Even the most esteemed soothsayers get it wrong from time to time. Thus, despite your best judgment to the contrary, don’t be surprised or shocked to see customers abandoning their in-store and online shopping carts without buying something. With so many options at their disposal, consumers will no doubt shop around for the best deal. And it doesn’t matter if they’re actively searching for something in particular or merely window shopping. Consumers are notorious for browsing any number of in-store or online products and services, only to decide it’s not worth their while — and that’s okay. Ultimately, you can easily follow up and gently remind them about any abandoned purchase via email marketing, thereby allowing you to claw back some of those lost customers. You can also use people’s tendency to browse aimlessly to your advantage by providing more product information and incentives than your competitors. Sometimes the details, like the length of a sweater or the weight of the fabric, are what matter most. And if you can keep consumers from playing the guessing game — or hoping and praying for the best — because you spelled everything out, your business can come out on top. You can also expect multi-channel shopping to become more prevalent. Buyers want the ability to browse your inventory and/or general lines of product online, through an app and in-person whenever possible. They also want to see your products in action on Facebook, Instagram or YouTube. Meantime, many others want to be able to read about the different ways to use your products on Pinterest and Medium. Ultimately, the easier you can make it for consumers, the more likely you’ll be able to turn a sale. As technology rapidly evolves, customers will demand faster service and personalized interactions. Case in point: More than 70 percent of consumers become frustrated with a shopping experience that doesn’t feel personal or genuine. At the end of the day, they desire personalized recommendations, exclusive deals and regular promotions tailored to their specific interests, because, in their mind’s eye, these efforts make shopping more convenient. Understanding your customers’ needs and wants when everything, including the technology you utilize, is changing can be a challenge. Building anticipation helps, but you’re bound to come in contact with consumers who merely want to window shop, don’t buy consistently and desire to make purchases via multiple channels. Ultimately, it’s your job to do everything in your power to provide convenience to your customers and prospects. Who knows? From there, you could win their loyalty, plus a few referrals. Now that’s good business.